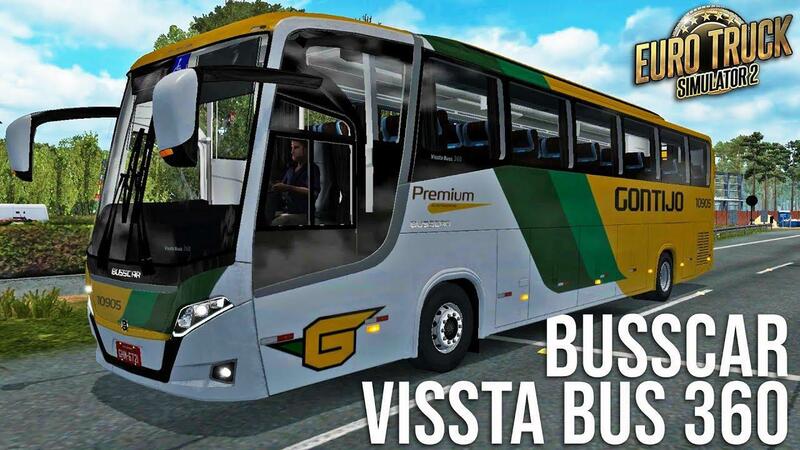 This mod adds a Busscar New Visstabuss 360 6×2 & 4×2 bus to the game. Mercedes Benz. – Purchased at the Mercedes dealership. – There are 3 chassis options. – Animated sign indicating the route, indicating a huge number of cities in the world to choose from. – Sun blinds on the windshield in 2 positions (above-below). – TV in the cabin. – Curtains in the salon – 3 colors. – Tinted glass in the cabin – 4 options. – Inserts on the external plastic / chrome model. – A small kenguryatnik – 3 options. – Upholstery in the cabin – 6 options. – Application of dust on the body of the bus in several versions. – Support for DLC “Cabin accessories”. – More than 100 different quality skins.